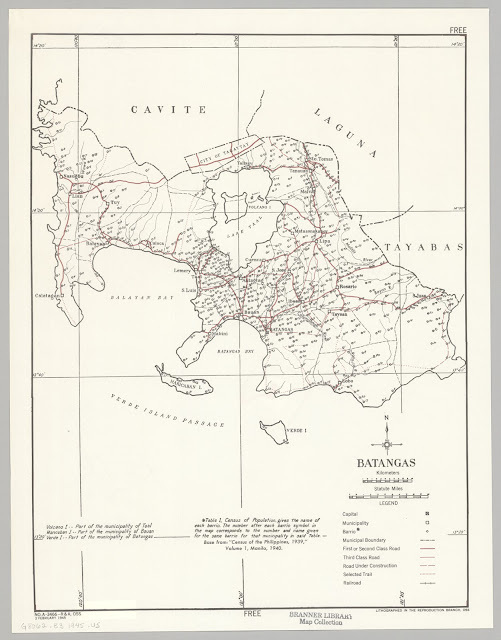 A United States OSS map of Batangas, created 1945. The map above was generated by the United States Office of Strategic Services (OSS) on 2 February 1945. The OSS was wartime military intelligence agency of the United States in World War II. It was the Research and Analysis Branch of the OSS that provided the map to Stanford University, from where the digital version of the map above was downloaded. The small circles in the map were supposed to have corresponded to a specific barrio, with the barrio’s name and population given in a separate table that unfortunately was not included in the Stanford University page from which the map was taken. 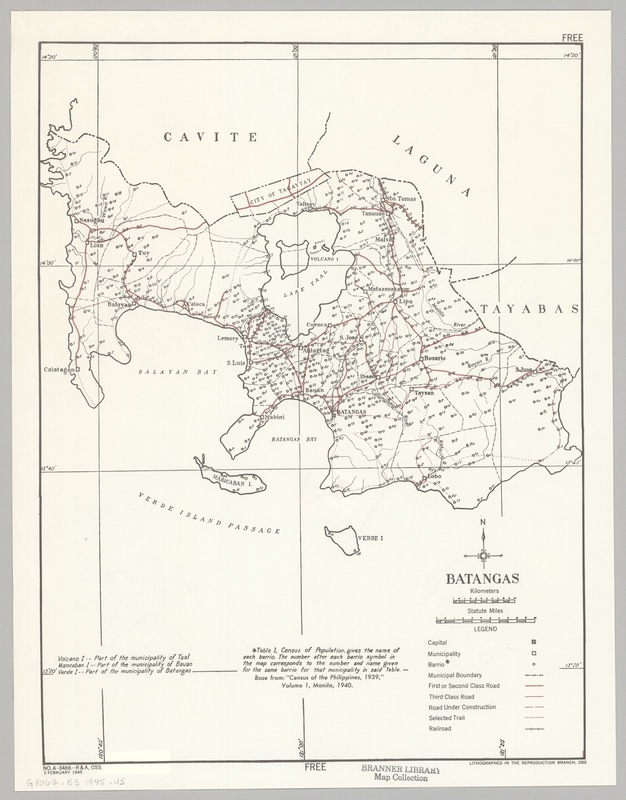 The footnote to the lower left of the map says that the island of Maricaban was still part of the Municipality of Bauan, since the present-day town of Tingloy had at the time not yet been created.